Mainly Amaryllids Garden’s old online bulb shop has moved. I still sell the bulbs and now have added Guinea fowl and Californian quail to the interests. The information below and left on this site will be here as a reference only. Dudes have hacked it!! My new site is much safer. Summer Garden Bulb List currently available. Greetings Fellow bulb enthusiasts and welcome to my web site. Growing bulbs for the hobby gardener and professional bulb collector. Flowers, seeds and bulbs, I have something for everyone. at Mainly Amaryllids Garden my philosophy embraces the idea of sharing & disseminating knowledge and bulbs with other bulb collectors and gardening enthusiasts. Mainly Amaryllids Garden has a couple of projects on the go to further our knowledge of growing bulbs and gardening in general. Come over and take a look. It's new and going to grow, just like many of my bulbs LOL. Images of Bulbs is an image gallery I am working on. I enjoy helping all gardeners to obtain the rare, endangered and exotic of South African Amaryllids. 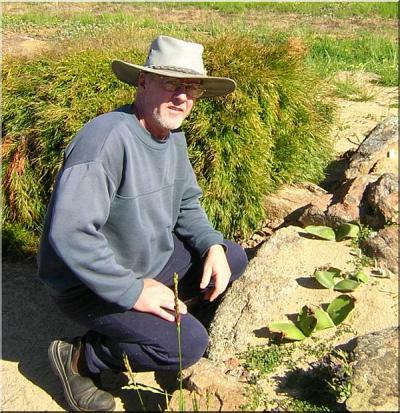 Mainly Amaryllids Garden is situated in sunny Barnawartha, Victoria, Australia. Mainly Amaryllids Garden grow and offer Amaryllidaceous bulbs from here in our Barnawartha garden. To be notified of new seeds/bulbs released from the garden I suggest you Subscribe to to the site and chose the 'Subscribe to Newsletter" option. 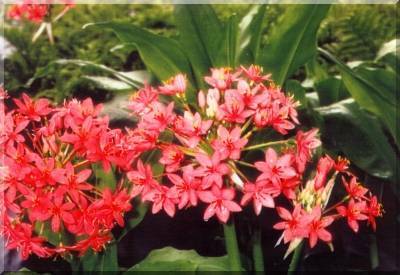 Mainly Amaryllids Garden offers such genus as Crinum, Crinum hybrids, Brunsvigia, Haemanthus, Cyrtanthus, Scadoxus, Boophone, Crossyne, Strumaria, Gethyllis and Hessea just to name a few. I also do some of hybridising with some species Crinum, Brunsvigia and Amaryllis belladonna each season. I also have a few bulbs of Irids & Lilies to like Lachenalia, Hesperantha, Babiana, Bulbinella, Muscari and Ferraria. Be sure to check out the 'Wild Bulbs of the Eastern Cape' pages. Excellent images of the East Cape of Southern Africa. Cameron McMaster is one fine Naturalist! I trust you enjoy your stay. Dash. Ps. Our site map has all the links! · Overseas orders for bulbs must be accompanied by a Phytosanitary Certificate. AU$55.00. for small orders. Please ask for large orders. Handling charges will apply for large orders. All Overseas orders are in Australian Dollars - Please see our Order link for full details. · This website has been designed for better security whilst viewing and purchasing online. We all understand that no site is foolproof but we're doing our best at this end to keep your privacy. So, in order to purchase any of our bulbs online you can either email me the order if this is more to your liking or your can use the payment method inside the website & Subscribe to Mainly Amaryllids Garden. Once your details are entered, you will no longer have to fill out these details again while surfing within MAG. COM You will obtain a personal user page, on which you can adjust the settings of at any time you chose. Once subscribed (you may unsubscribe at any time) you can then purchase from the list, enter your wish list details and view online collection lists. You will not leave the session until the very end, when you go to pay at another secure server at Paymate.com. or if you log out. Remember to email me if you have any little question, I will do my best to answer them.. Thank you and have a nice day.